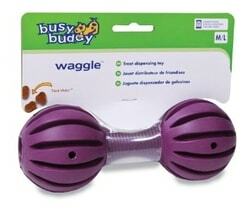 Waggle is a fun toy for dogs that is extremely flexible, able to seize upon moving here and there. 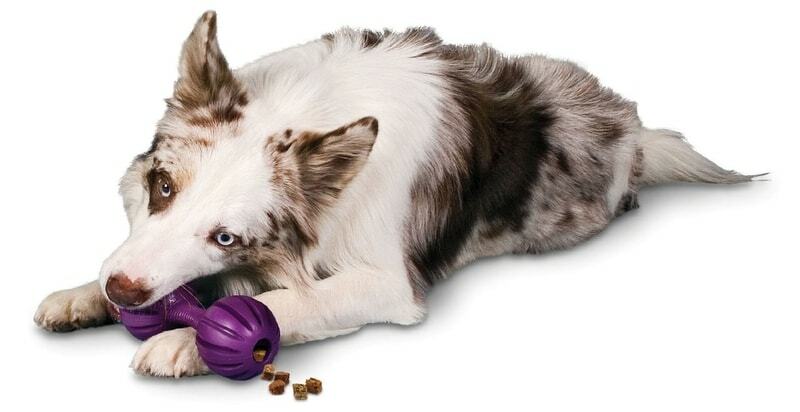 To each side of the toy can be inserted morsel like. 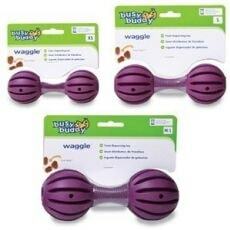 Waggle is a fun toy for dogs that is extremely flexible, able to seize upon moving here and there. 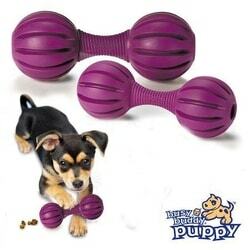 Into each side of the toy can be inserted titbit like. The hole is provided with three tongues for difficult treats hair. If you want to use larger treats that fell out over the tabs hardly, just one or more beaks cut. The toy is made of natural rubber and maintained simply warm water. Available in three sizes - XS (suitable for dogs weighing up to 4.5 kg), S (up to 9 kg) and m (9 kg).